How many times have you heard someone say the following? It’s gluten free so it’s good for you. You can have more because these are organic. I’m dieting so I’ll just have the salad. This is sugar free so it doesn’t count. This would be what I mean when I say the “Health Halo” effect. This describes the urge to eat and often times eat more of a food because you believe it to be “healthy”. In the end you’ve actually eaten more calories than you normally would have and taken in more fats and sugars than you believed were in it. Everyday we run across foods with labels claiming a food’s healthy ingredients. We see things like no trans fats, fat-free, all natural and whole grain, just to name a few. This does not mean that it’s a free for all when it comes to eating these foods. Many times consumers will actually eat more than twice as much thinking that it won’t effect their body. Now you’ve taken that simple little 100 calorie cookie you used to eat and turned it into 700 “all organic” calories. Hmmmmm where is the logic in this? Just because it’s all organic doesn’t mean that it is free of calories, fats and/ or sugars. ‘All organic’, ‘All Natural’ and ‘Clean’ foods still contain fats, sugars and calories. There are a few items that we often perceive as healthy and they often, they couldn’t be farther from the truth. Just the word salad flips a switch in our brain that it is healthy and we should be eating it. 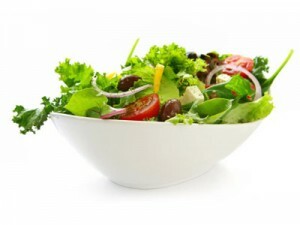 The problem with salads is not the base of lettuces used. It’s what goes on it that ups the calories more than most fast food meals, with the bad fats and sugars as well. Did you know that 2 cups of lettuce is about 30 calories? Once you add in just avocado that number increases to 90. Two cups of Greek Salad contains over 300 calories, a chef salad, even without dressing, has 330 and going for the ever popular Caesar salad you end up with over 350 calories. Now this is for a 2-cup portion. Most restaurant salads are approximately 4 cups. This would double the already large calorie count. Many restaurant menus have several entrée salads to choose from. However next time to head out to dinner and think you’ll just have a salad… try checking out the online nutrition for the menu. You’ll see that the candied nuts, dressing and other goodies they’ve tossed your salad with get the fat and sugar numbers for your healthy salad off the charts. You’ve just walked into your favorite coffee house and decide you’re going to be really good by getting the non-fat/sugar free frappe so you can continue to stick to your Bombshell plan. Well did you know that even if this little cup of caffeine might seem harmless it is not calorie-less? The Grande version of this type of drink can typically jolt your calorie intake for the day up at least 150 calories if not more. If a food is labeled as Sugar Free it most likely will have an ingredients listed that will give it the sweetness that of the regular version and/or raise the fat content. Manufacturers have to add something when removing the sugar to keep the flavor in somehow. This applies to the Fat Free Version of packaged foods as well. If it is fat free, they’ve most likely upped the sugar content to keep the flavor from being bland and tasteless. For instance, Sugar Free Oreo Cookies by Nabisco are one item that comes to mind. When a food is labeled “sugar free” it can contain NO sugar. However, the manufacturer must add something in there to give it the sweetness that you still desire. Oreo has added a few sweeteners for this. Malitol is the very first item listed in on ingredient label. 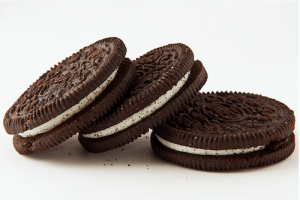 This means it is the MOST prevalent item in the Oreos (ingredients are listed in order from highest to lowest on all labels). Malitol is an artificial sweetener NOT comprised of sugar, but did you know that it has almost the SAME impact on your blood sugar as the real deal? Malitol has a glycemic index reading of 57 while cane sugar is 60. Also when purchasing sugar free items be careful to note the serving size described as well. As you will see below, Nabisco has changed the serving size from the normal 3 regular Oreo cookies to 2 on the sugar free ones and when you really break it down the numbers aren’t any different. Another key reason to steer clear of the sugar free versions of foods is that when you eat something sweet your body automatically expects the sugars to follow. When sugar substitutes are present your brain does not know why it isn’t getting the sugar that it expected. Therefore your mind will continually crave the sweetness until it gets satiated with the real thing. While not ALL restaurant salads, and reduced calorie items are bad for you, the majority of them are and it is hard if you don’t do your research ahead of time to know what is and what isn’t going to be good for your body. At Bombshell Fitness we believe that eating whole REAL foods and knowing exactly what’s in them is the best to help you reach your goals.